We're living in a golden age for oysters. Just two decades ago, an ostreophile would have thought him or herself lucky to choose among a handful of options; today, in the U.S. alone, hundreds of varieties with exotic names like Moon Shoal, Hama Hama, and Kusshi tempt oyster lovers. What creates all those different flavors and textures—and what's the story behind today's oyster revolution? Kumomoto oyster from The Essential Oyster. Photograph by David Malosh. Though you may not be considering it as you're drizzling on the mignonette, oysters are one of the few remaining creatures we humans eat whole, raw, and, frequently, still alive. If you (like us) take a few chews after sliding it off the shell, you'll know that the creature's texture and flavor varies based on its anatomy: a soft, pop-able, briny belly; creamy, sweet muscle that snaps the shell shut at the first sign of danger; and even, if you flip your oyster over, a tiny but perhaps still-pulsing heart, pumping translucent seawater instead of blood. It was indeed, as eighteenth-century satirist Jonathan Swift wrote, "a brave man that first eat [sic] an oyster." Eat it he did, however, and oysters have been an important source of nutrition and pleasure in the human diet ever since. 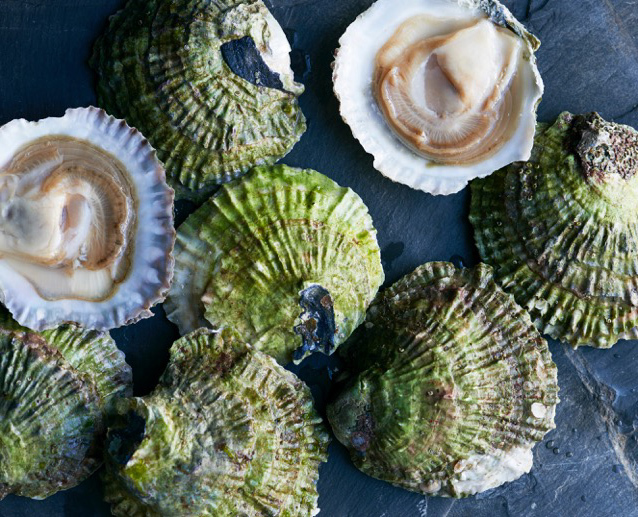 From the first oyster crackers of ancient Rome to the oyster-paved streets of New York City, and from the abundant wild oyster reefs of old to the high-tech hatcheries of today, we trace humanity's long and delicious relationship with the bivalve. 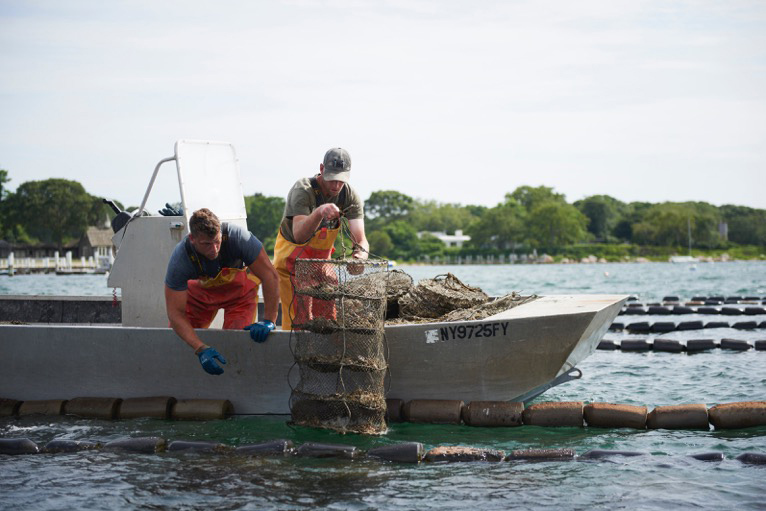 Fishers Island, NY, suspension culture from The Essential Oyster. Photograph by David Malosh. 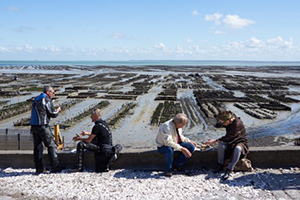 Oyster culture, France. Photograph by David Malosh. 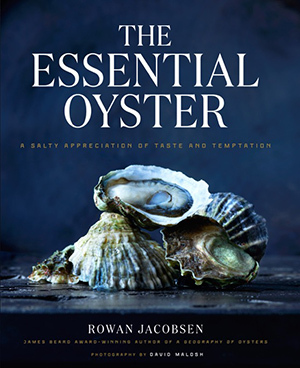 "An oyster conveys its life experience directly to your senses," writes Rowan Jacobsen, the award-winning author of the gorgeous new book, The Essential Oyster. This episode, Jacobsen, an oyster obsessive, helps us explore the biology behind the variations in the bivalve's flavor and texture, as well as the scientific innovations in oyster breeding, artificial oyster reproduction, and oyster farming that lie behind today's oyster renaissance. Jacobsen insists that today's oysters are tastier than at any time in history. So what are you waiting for? Listen in, and you, too, may fall under the oyster's spell. Gulf of Maine Belon oysters from The Essential Oyster. Photograph by David Malosh. Award-winning author Rowan Jacobsen has written three books about oysters (as well as others about apples, bees, chocolate, and more). 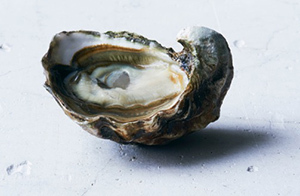 Hist most recent is The Essential Oyster: A Salty Appreciation of Taste and Temptation. His first, The Geography of Oysters, came out nearly a decade ago, and in between he explored the oyster's habitat in The Living Shore. You can read more about the story of American's first real oyster scientist in this Chesapeake Quarterly article. This NOAA paper has more information on the development of hatcheries on the West Coast, and this Atlantic story has more detail on Stan Allen's triploid oyster.